DOWNLOADAREA- for everything from Audio/mp3 Synthdemos to Synthesizerpatches etc..
DOWNLOADBEREICH für allesmögliche von Audio/mp3 Synthdemos bis zu Synthesizerpatches und auch dem Synthesizerdiplom..
made for the german keys magazine (release 7.may 2004) , use envelopes of your sampler or software (VCA envelope) to make it click’n’cuts and nu electro!! fürs keys magazin, hab ich ein paar electro samples gebastelt.. übrigens alle mit einem einzigen synthesizer ;) unbedingt eine VCA hüllkurve nutzen um die samplelängen zu variieren. auch sample start modulieren bringt sehr viel ,besonders für clicks’n’cuts und nu electro sounds..
und auch bei keyboards zum download..
Bei www.hollowsun.com gibts ein paar Klassiker. 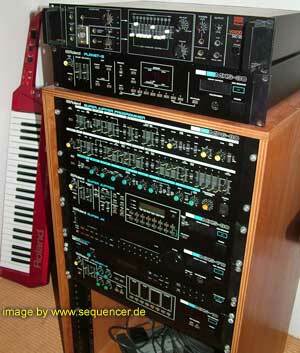 und im forum gibts noch mehr und aktuelles..
http://forum.sequencer.de Synthesizer? wie klingt ein Ringmodulator? Wavetables? Filter? Kammfilter? etc..
BEISPIELE zum Synthesizer-Glossar hierSynthdiplom (gut für Einsteiger und für ein paar Infos auch zu Wavetables und einiges mehr, allgeimein zu digitalen Synthesizern und auch b.sonderes.. naja lies selbst…) zum DOWNLOAD als PDF. Synthesis.. Synthesizer / Synthesis.. Synthesizer / Synthesis.. some basic sounddemos..
NORD MODULAR Patchinfo typ „coming s.o.o.n“ –>> habe massig neue patches mit neuen ringmod formen und selbstmodulation gebastelt.. meist eher avantgardistisch, aber sehr musikalisch, wenn auch mehr für „intelligent elektro“- freunde interessant.. muss noch auswählen,was davon online kommen soll.. NORD MODULAR Patch snare2 a simple snare,has a nice noise section in the „elektro“/TR- style. DOWNLOAD „gnuph SNARE“ eine simple snare,die einfach ein bisschen stellbare rauschfahne hat.. richtung „elektro“/TR. DOWNLOAD „gnuph SNARE“ NORD MODULAR Patch 3D-turn-yourself-sounds. this is more an idea than a good patch.. connect the 4 outputs to 4 loudspeakers: yes place them around you and turn the knobs.. you are surrounded by some sequences.. well, maybe it’s inspiring.. hope so!! DOWNLOAD variation 3 natürlich ist der nord eine gute idee, mehrkanalton zu machen, dazu bitte die 4 boxen an die outs 1-4 anschliessen!.. hier ein paar patches, um das kreisen um den hörer zum verrücktwerden und liebhaben erzeugt ;) soll eigentlich nur animieren, viiiel bessere „surround-sounds“ zu basteln! – hier zählt mehr die idee..
DOWNLOAD variante 3 NORD MODULAR more nord patches..
DOWNLOAD (hold SHIFT and click or select „.mid“ in applications menu (Preferences) to save to disk only)ein mp3 zum schnellhören Microwave XT,MW2, … An Arpeggiator sound without the Arpeggiator? XT Patch if you ever wanted to know what you could do with the WaveENV.. here’s a CONSEQUENCEr without using the Arpeggiator but… turn the wheel to slow it down (listen at the slowest speed: do you feel those Ryhtm Boxes..) .. try using other Wavetables & Experiment with the WaveENV.. it is a StepSeq here!!!.. you want it faster? change the sign in the ModMatrix (to plus 63).. then turn up the Wheel again..
DOWNLOAD (hold SHIFT and click or select „.mid“ in applications menu (Preferences) to save to disk only) if you ever wanted to know what you could do with the WaveENV.. here’s a CONSEQUENCEr without using the Arpeggiator but… turn the wheel to slow it down (listen at the slowest speed: do you feel those Ryhtm Boxes..) .. try using other Wavetables & Experiment with the WaveENV.. it is a StepSeq here!!!.. you want it faster? change the sign in the ModMatrix (to plus 63).. then turn up the Wheel again..
Patch I had some idea of „emulating“ the Nord Leads „Synched Noise“on the XT/MW2…. it consists of 11 noisy OSC shapes.. my patch that I wanted to emulate was the one on Real?OR.noT.1 Track „Why.noT“.. and played in a different way in another track on Real?OR.noT.2: fallen / being dropped .. with pitch bending.. now here’s the :original sound:and here are the XT files.. yes, it works on both MAC and PC!! Nord Leads „Synched Noise“on the XT/MW2. it consists of 11 noisy OSC shapes.. my patch that I wanted to emulate was the one on Real?OR.noT.1 Track „Why.noT“.. and played in a different way in another track on Real?OR.noT.2: fallen / being dropped .. with pitch bending.. now here’s the :original sound:and here are the XT files.. yes, it works on both MAC and PC!! this is the Patch (new):load it Hier eine Idee was man mit dem Filter Extra Parameter machen kann, dieshier ist ein massig modulierter BPF mit modulierter Bandbreite!! ja das geht!!.. einfach Extra modulieren.. zb Velocity..mein absoluter lieblings BPF-Sound.. irgendwo zwischen Yello und wasweisich.. was daran cool ist: naja der XT hat einen super BPF der per extraparameter die BPF-weite modulieren kann..
DOWNLOAD Hier das Soundset welches im Waldiforum entstanden ist.. DOWNLOAD WALDORF Q How does the Combfilter sound? Audiofile (mp3) first let me play around with the Comb-filter.. this is how it CAN sound: COMB ME NOW and click here!of course you can do much more with it such as planger/phaser things, „physical modelling“ stuff (use noise and the Comb at high resonance) and you can get some „string type“ sound like in my „Atem der Maschinen“ on consequence (free for download).. good luck.. we have 2 Combs or another filter of your choice to do some more strange things or to filter away high noises etc.. blablablah… more: see the „VOCODER without Vocoder FX! !“ ..eine kleine Kammfilterdemo: so KANN ein Kammfilter klingen.. andere Anwendungen sind natürlich „physical modelling“ ähnliche sachen (Noise drauf und hohe Resonance) wie in meinem Track „Atem der Maschinen“ in nicht voller Reinkultur aber erkennbar „streichend“ zu hören ist..
unter audio data auf: www.consequence.info) klar das auch flanger/phaserzeug damit geht.. schliesslich ist es ja das Grundprinzip eines Kamms.. und gut für die Frisur.. gut das es 2 filter gibt so kann man nachbearbeiten oder nocheinen Kamm einbauen für Leute die besonders strubbelig klingende Sounds glätten wollen!?!? ;-) MEHR dazu weiter unten unter „Vocoder“ mit anderen Mitteln.. Q 6OP FM??? Patch I was making some suggestion and here is a patch to use the Q’s very fast LFOs as FM OPerators (well.. in fact OSCillators).. to get at least 6OP.. heres one of the results.. maybe it helps to find your way into new sounds..??.. isn’t it true? see your Q as another Synth, what was it?? this is a VA?? huh?? no its an FM Synth!!.. think this way and you get another kind of sound… aaaaand btw: I put some „room“ into it using the FilterRouting!!.. Here is an audiofile (mp3): LISTEN(overwrites B93) DOWNLOAD Hier ist ein Patch für FM Spass mit der Kuh.. die LFOs spielen OPeratoren (Oszillatoren?).. also quasi 6OP FM.. hier ist eins meiner Ergebnisse: es bringt auch viel mal mit diesem Gedanken neue Sounds zu machen, was ist ein Virtuell Analoger?? ist die Kuh nicht immerschon ne FM Kuh gewesen, hö? uuuund nochwas: mit dem FilterRouting hab ich hier ein bisschen räumlichkeit reingebaut..hier ist ein Audiofile (mp3): HÖREN(überschreibt B93) DOWNLOAD Q NEW: Voice Melo using Wavetables in the Q plus.. ehm..
more live: route Velocity to Filter Decay +50 or more.. as you like! (overwrites B72) DOWNLOADheres an mp3 for quick prelistening.. Q-Noise G.raffel (do Naja– digitaler Bass.. irgendwo zwischen allem..
mehr leben? : route Velocity auf den Filter Decay +50 und mehr (weniger?).. wie du eben willst.! this is a soudn that I made from my Metal Hammer Patch.. with very High Harmonics.. Play a Tune maybe tranmogrifies you into a snorC! Those are strange pets here on Mars (North) dunno about the south.. Tips: turn down Filter ENV Decay and check those harmonics and play with dynamics in your fingers..
also.. Imagine a „soundbowl“..mixed with some other Metal Machine and some esoteric things..
play with it.. play dynamic melodies..
dashier hab ich aus dem Schmiedehammer gebastelt.. viele Höhen und dynamikzeux.. gut auch als Basis für weitere Sounds (Filtern!!).. Einfach mal ne Melodie spielen!!.. so den rest hab ich keine lust zu übersetzen.. habs eilig.. ;-) with very High Harmonics.. Play a Tune maybe tranmogrifies you into a snorC! Those are strange pets here on Mars (North) dunno about the south..
DOWNLOADein mp3 zum schnellhören Q blacksmiths‘ drop hammer Patch Rhyhmetall: this is a percussive drop-hammer (do you see the blacksmith??) good for any kind of industrial, intelligent etc.. also used in my tracks.. I really like these kind of sounds! DOWNLOADheres an mp3 for quick prelistening.. Rhyhmetall: Das hier ist ein Industriell gefertigter Schmiedehammer zum rumdengeln auf nem Amboss!! wo ist der Schmied?? good for any kind of industrial, intelligent etc.. also used in my tracks.. I really like these kind of sounds! ..is your word! do you still hear my (northern) marsian dialect?? hope this one is more easy 4 u!! like to hear your tips for better & faster finding what you are searching for.. more patches soon!!.. so, jetzt ist das hier hoffentlich ordentlicher.. Tip(p)s hör ich mir gerne an..!! MP3 please visit my site www.consequence.info or better MOOGULATOR.de for music! : das ist was ich so mache.. und so klingt ein Moogulator wenn man ihn voll ausreizt.. auch neues & superneues!!.. das projekt ist natürlich ConseQuence – hat eine eigene Site– unter audio_date gibts mp3 demos und videos mit unrealeaseten Tracks..
unter anderem auch den XT only track, Q und andere.. CONSEQUENCE THIS is what I do.. and how a Moogulator sounds when it is exploited to the limits.. also new and supernew tracks here!!.. see most recent tracks under moogulator!! VOLITION DESOLATED VICTIMS these are my older (1985-198X) Tracks for all who missed my Tapes plus masses of Bonustracks on DAM CD..(still „prelistenable“ of course) (80ies no longer available) hier sind meine älteren (1985-198X) Tracks versammelt für alle die damals keine Tapes gekauft haben und einige Bonustracks a80ier projekt, gibts nicht mehr..
CYBOTECH a Techno project.. not really new.. but its here!.. (90ies) ein Technoprojekt.. aus den mid 90ern..
hier gibts die Synthdiplom CD Audiofiles und sounds zu bestimmten Synthesizern etc.. also nicht wirklich ein Musikprojekt.. nun aber schon!! siehe www.moogulator.de aber ein Name unter dem ich schreibe..
neue musik geht hier hin.. ;) Jahr 200X bis jetzt..